But Jamie’s story is only similar to other riders’ on the surface. Even as a child, Jamie has dealt with some additional challenges that most other professional riders never have to worry about: Jamie was born with significant hearing loss. When she was young Jamie had two hearing aids, but an accident trailering a pony resulted in complete hearing loss in her left ear. She got her first pony at 8 years old, with the promise to pay her father back with the money she earned after training and selling the pony, and was showing by the time she was 9 years old. 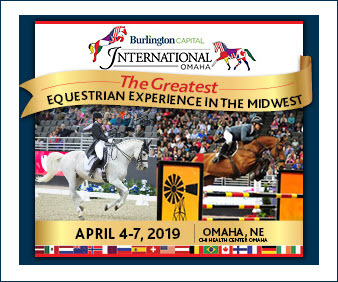 “During flat classes, my equitation trainer would gather her friends and have them stand around the ring and show me hand signals for what the judge was asking,” she said. 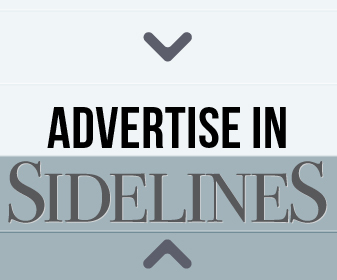 Though it took some adjustments, Jamie’s talent and drive far outweighed any inconvenience her hearing loss might have presented. 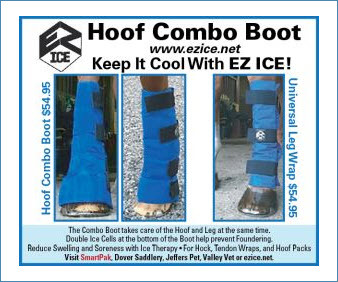 She had a successful junior career in hunters and equitation with her trainer Val Renihan. But the ribbon perhaps most memorable to her during her junior career was not blue, or even close to it. The bet proved to be life changing — and one her mother eventually was happy to lose. 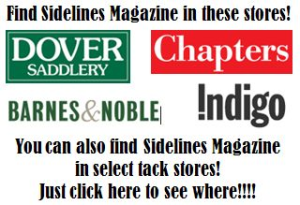 “I was so happy and knew I wanted an Australian shepherd because my trainer had one I really liked. But with Kylie, I got so much more than I thought I was getting,” she said. 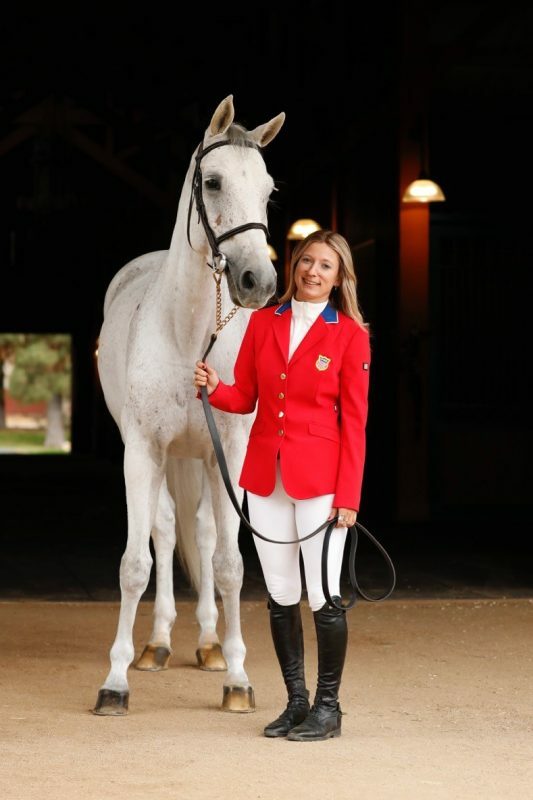 With her junior career complete including placing third at the Northeast Maclay Regionals, a top 20 finish at Maclay Finals and being ranked 6th in North American League, Jamie began studies and rode on the equestrian team at the University of Georgia for two years. In 2007, she transferred to Pepperdine University and moved to Malibu, California, where she graduated with a degree in sociology and coaching before she turned pro and began making a splash in the West Coast jumper world. 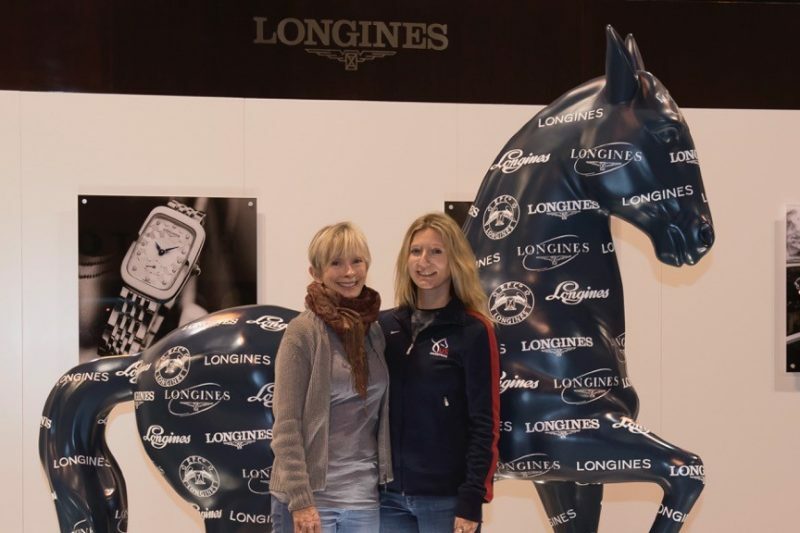 Jamie and her mom pose with the Longines horse at the Omaha World Cup. 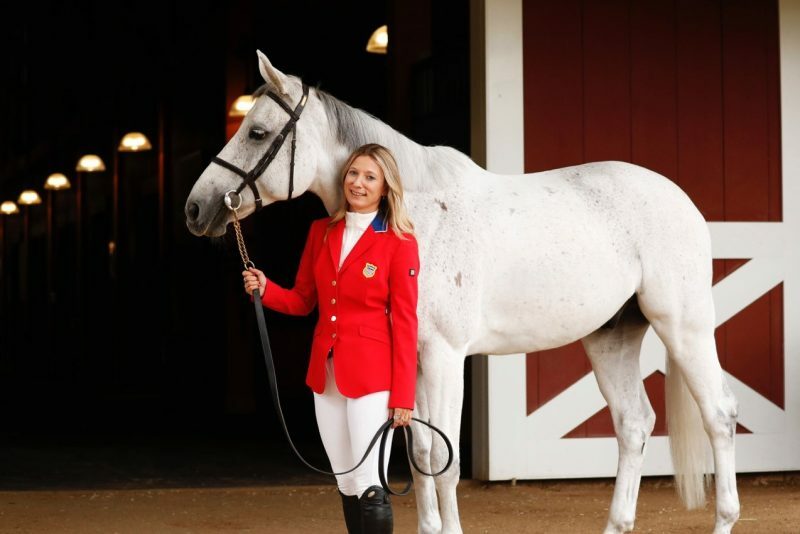 Her high moral standard might have gotten her off to an earlier start than she would have liked, but Jamie has been gaining more and more national attention, especially since partnering with a unique gray horse named Luebbo, aka Bo. Owned by Jamie’s KylieCo, Bo was discovered as a jumper prospect by a friend who thought he and Jamie would be a good match — that Jamie could handle Bo’s rather original personality. That friend was right — in 2015 Jamie and Bo won the $30,000 Summer Festival Grand Prix at Del Mar followed by the $50,000 Showpark Grand Prix and a second-place finish to McLain Ward in the $100,000 HITS Coachella CSI5*. 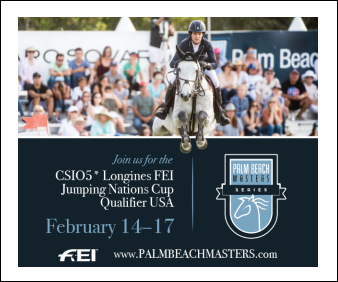 In February 2017, the dynamic duo took second in the $100,000 Longines FEI World Cup Jumping Thermal CSI3*-W, securing a position of only eight teams to ride for Team USA at the World Cup Finals in Omaha. And they’re just getting started. 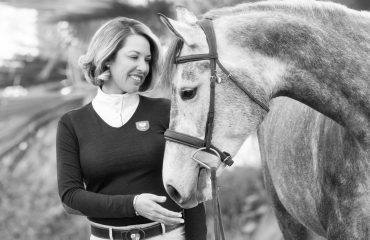 Jamie suffers from significant hearing loss, but that hasn’t kept her from success in the saddle. 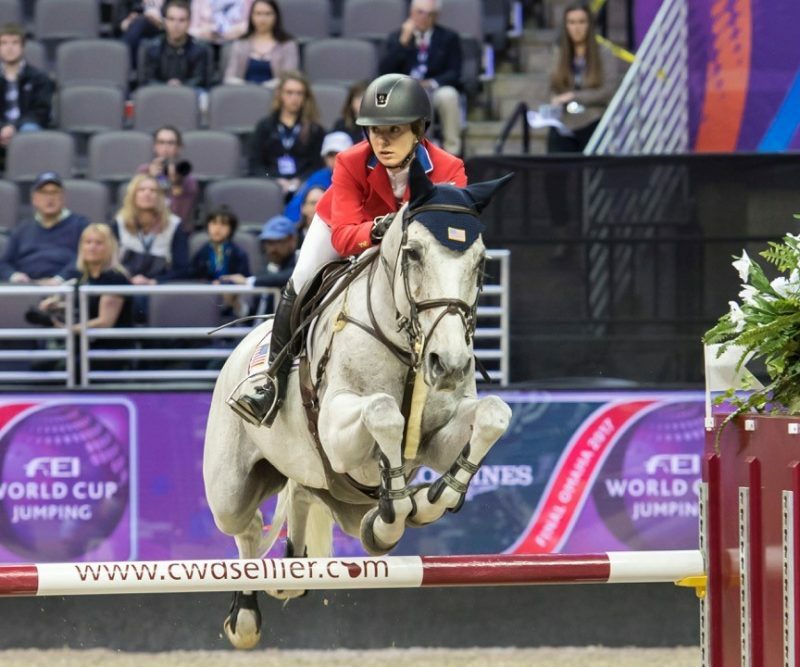 Jamie and Bo represented Team USA at the World Cup Finals in Omaha, Nebraska.